During my winter break on July 2015, I had been to Tasmania for 8 days. Without mistake, I did a research on restaurants in Tasmania. 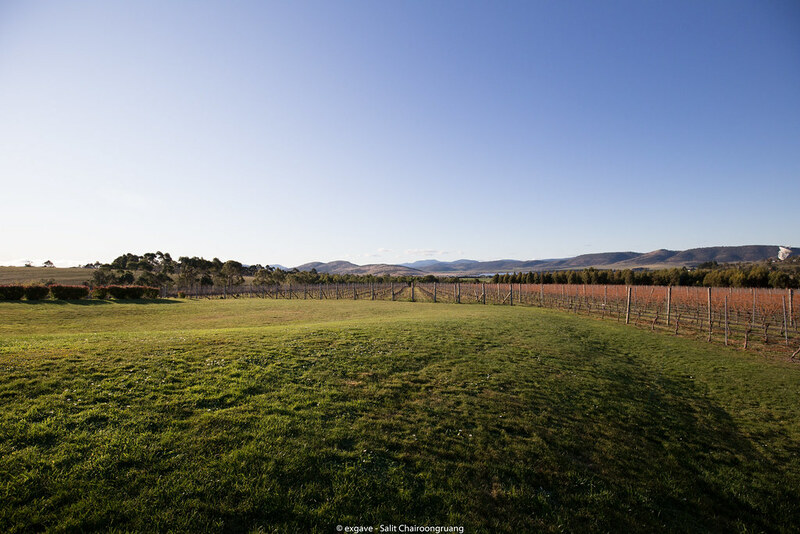 I decided to pay a visit at one of my most favourite Australian wineries in Hobart, Frogmore creek. Surrounded with vineyard, but shame that it is winter time; no blooming grape tree. 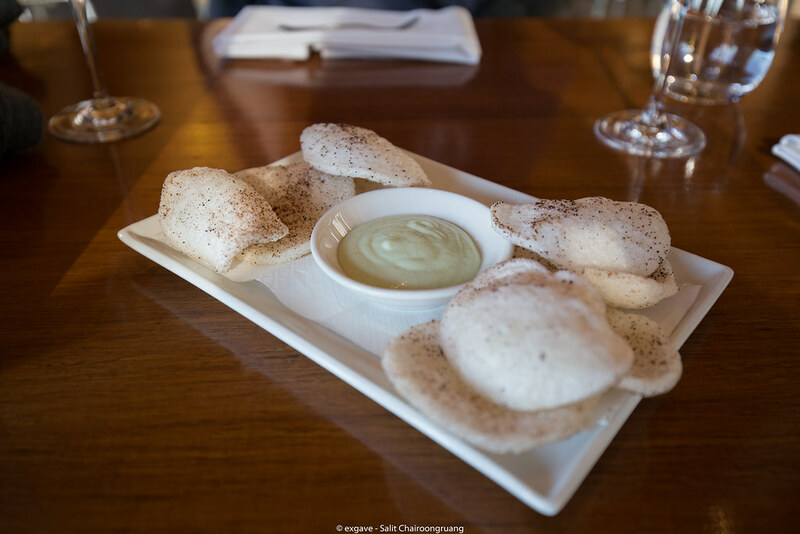 There are 3 options for a lunch: 4 courses of 85AUD, 5 courses of 100AUD and 6 courses of 120AUD. 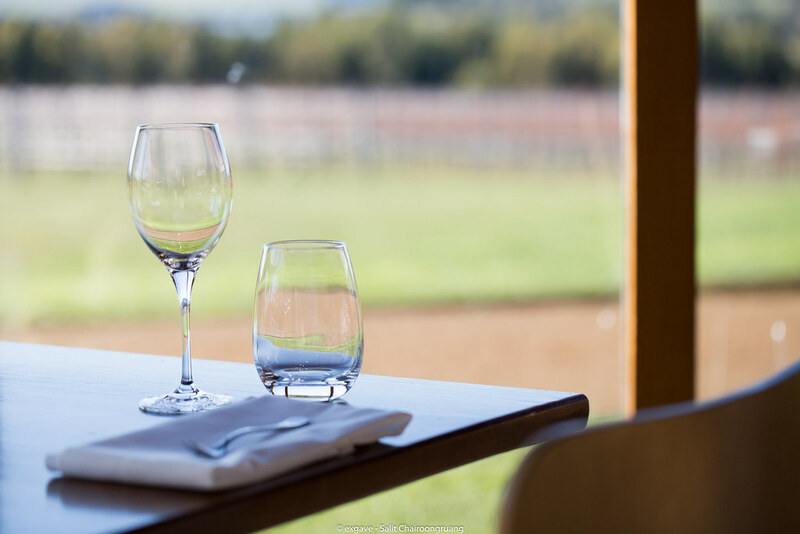 Definitely, Frogmore creek offers wine pairing along with the meal. 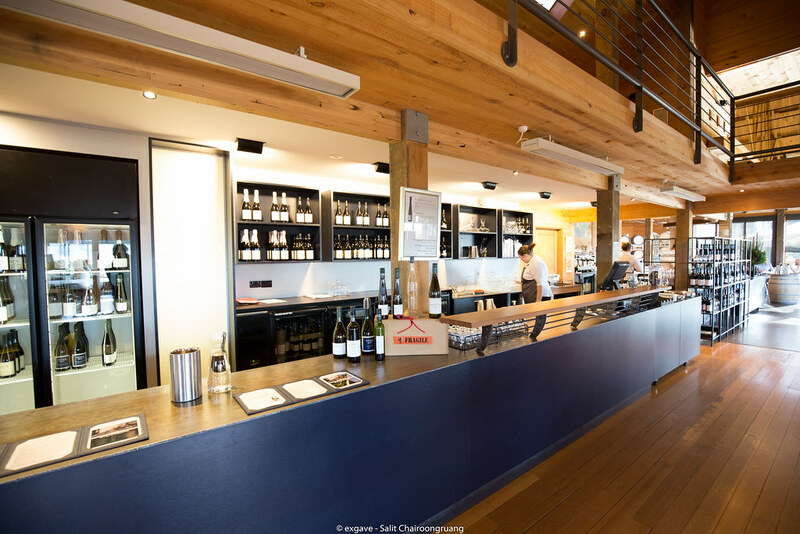 The selection of wine here is from Frogmore creek family which includes Frogmore creek, Meadowbank, Storm bay and 42° South. 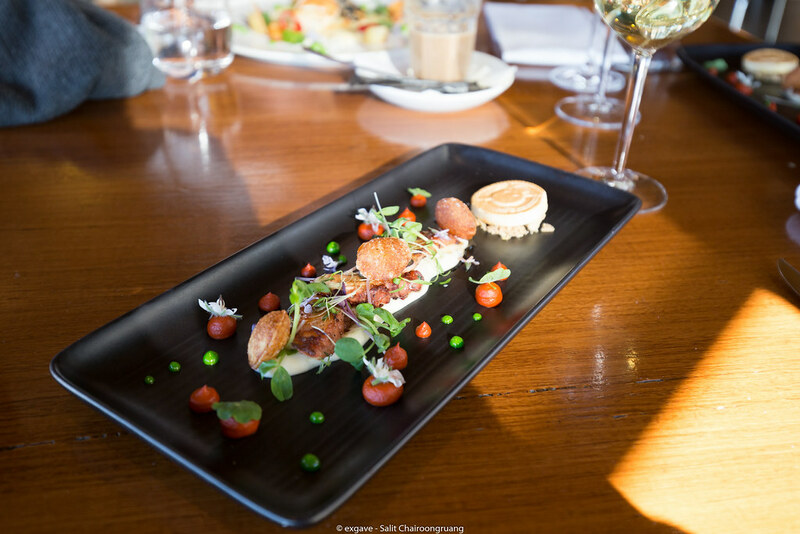 The cuisine of Frogmore creek restaurant is modern Australian cuisine. 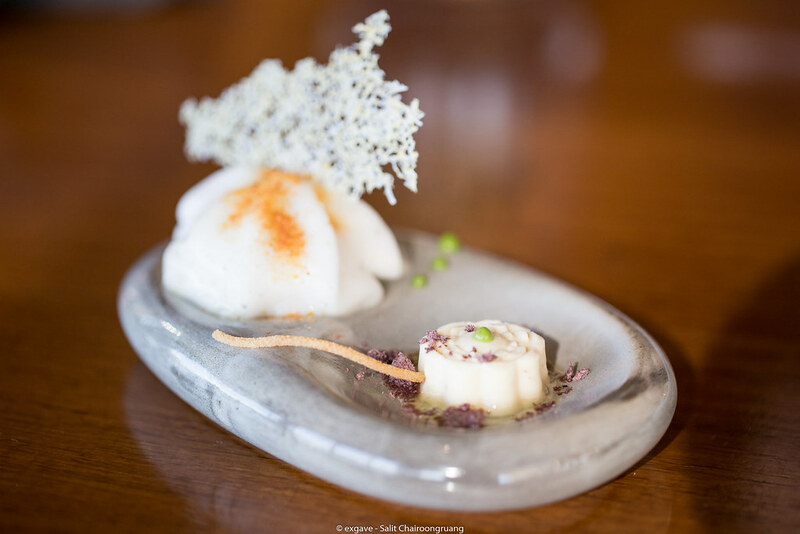 They focus on using local ingredients to create the dish. 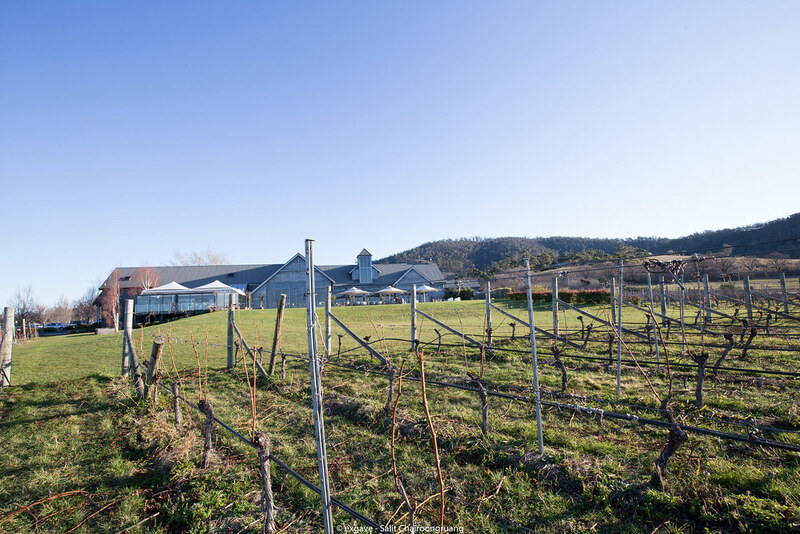 Tasmanian ingredients are well-known in the modern age of culinary – top notch quality. Today, my mates and I decide to go for 5 courses with wine pairing. Additional payment of 50AUD is required. To kick off, I was served with a glass of NV 42° South rose to pair with amuse bouche of tomato jelly and cheese. 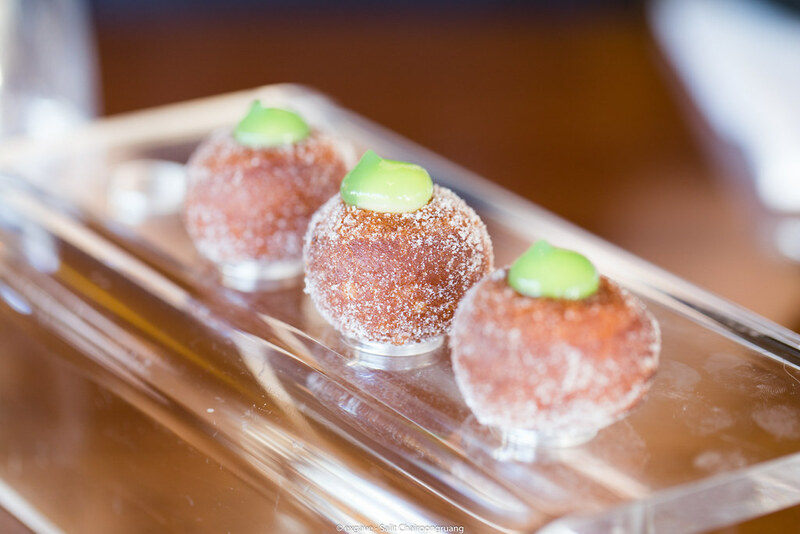 Amuse bouche was light and refreshing. 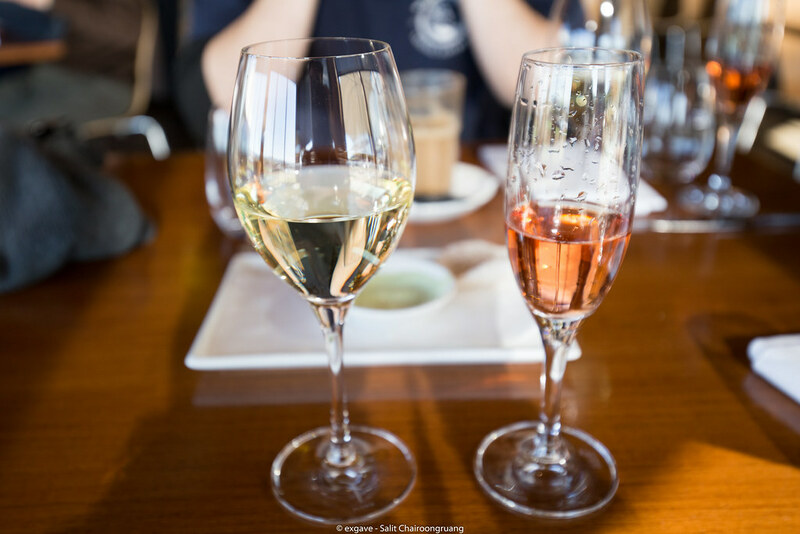 Rose was light, fresh and well-balanced. It was full with red berries note and fresh fruits. The first dish was smell the roses; cured salmon, red cabbage, gherkin elastic, soy glass, kohlrabi salad and dill dressing. 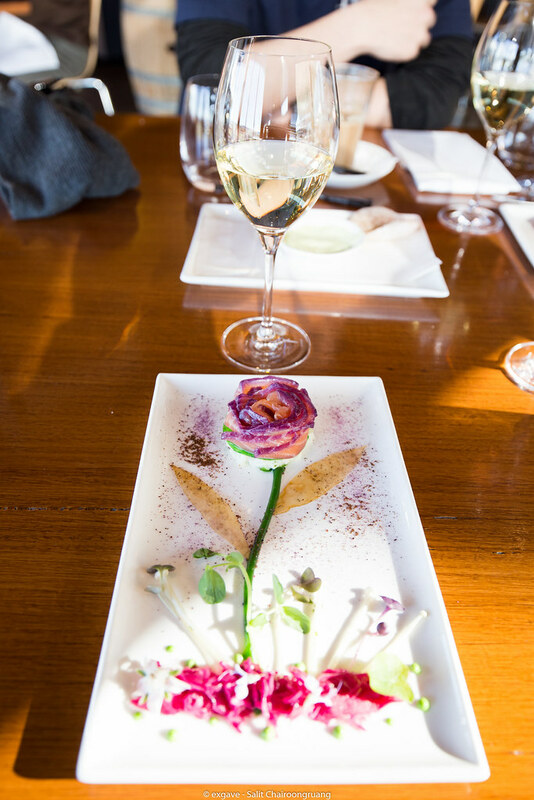 Before eating, waiter will spray rose fragrance around the table to match with the dish name. The presentation was magnificently stunning. Salmon was aged with beetroot. The result is it was light and sour. Dill dressing matched with salmon nicely. It was paired with Frogmore creek FGR Riesling 2015. Fresh lime, floral note and honeysuckle were presented. Very lengthy and smooth finish. From the sea dish, it was pirates bay octopus with roasted peppers puree, cauliflower coin, garlic, almond crumble and potato pillow. This is another great performer. The octopus was tender Pepper puree balanced out the whole picture fabulously. Potato pillow was fluffy and light. Next dish was autumn charm: roasted breast, leg, nugget and egg sunny side up of quail, sauerkraut, potato puree, salsify and PX sherry jus. At the first sight, I though it will taste bad due to my several extremely bad experiences with quail. I am not a big fan of quail because of its texture that is very chewy. All quail elements were cooked beyond perfection – so tender and savoury. I personally love the roasted quail leg the most. Sherry jus gave this another dimension of flavour while potato puree improved quail texture. 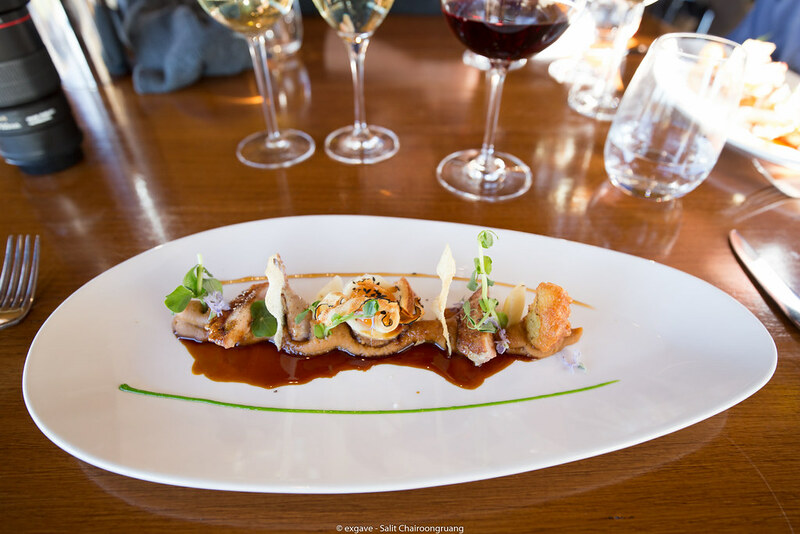 Frogmore creek Chardonnay was well selected to couple this quail dish. On palate, it was complex and long finish with grapefruit and peach aromas. 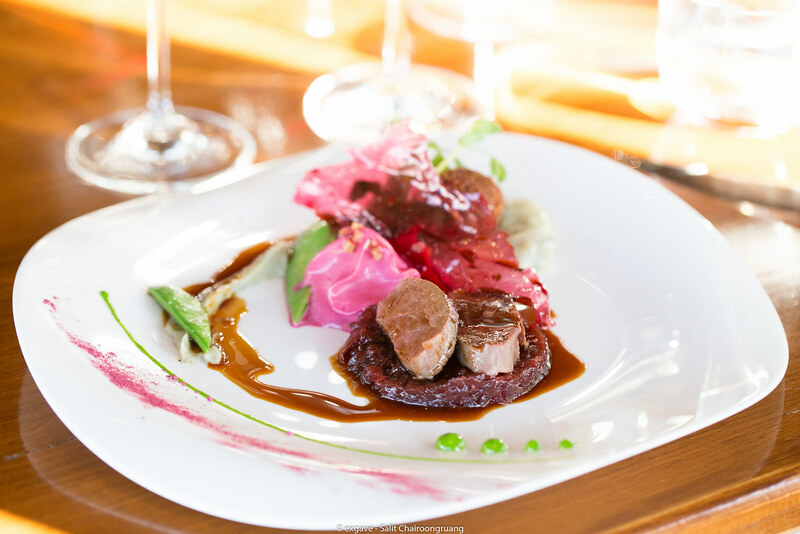 The last main dish was doo town delight: venison loin, venison leg croquette, truffled potato puree, potato crouton, beetroot foam and elderflower jus. Venison was tender and flavourful. Elderflower jus was sweet and packed which pair gorgeously with venison loin and croquette. Potato puree stole the hi-light from venison. They mash truffle along with potato. This create such a deep truffle fragrance to potato puree. Frogmore creek evermore pinot noir coupled with venison magnificently. Dark cherries, ripe plum and pepper are on the palate. Medium to full bodied wine with silken tannin and high complexity. I am not a huge fan of red wine but I have to say this bottle is bloody awesome. Lastly, black forest buttons, cherries, dark chocolate, kirsch, peppermint ice-cream, cardamom sponge and hazelnut crunch, was served as a finale. Presentation was stunning once again. Every single component in the dish helps to improve each other. Light, fresh and creative would be the best words to describe the dish. Classic combination of cherries and dark chocolate was delicious. Peppermint ice-cream paired with cherries surprisingly good. 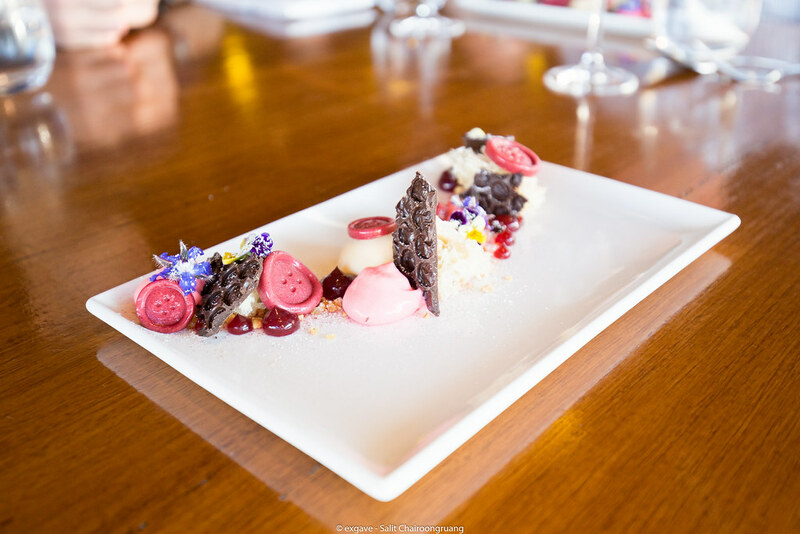 Frogmore creek NV ruby pinot noir port was placed down along with the black forest buttons. The last wine was too strong for this dessert from my perspective. It overwhelmed the aroma of mint and cherries but the port itself was quite charming with strong note of candied citrus and black berries. On the palate, black berries and toffee are there with very smooth tannin. 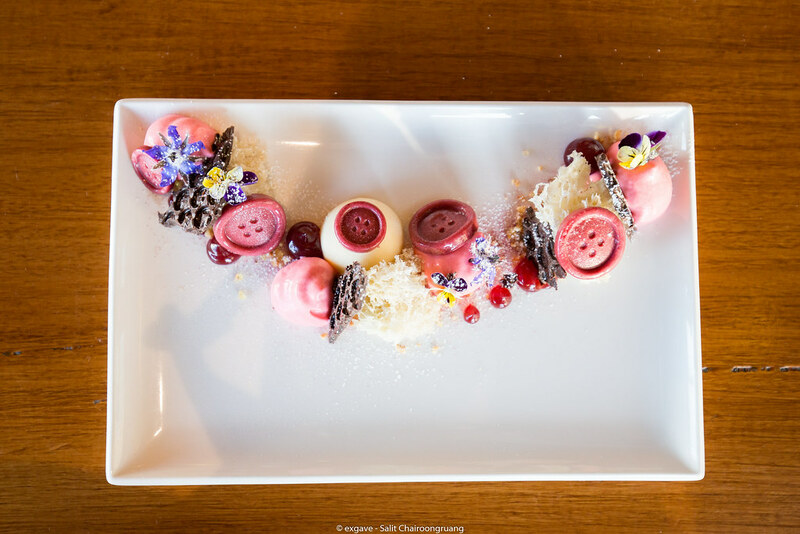 It is one of the best dining experiences in Australia. 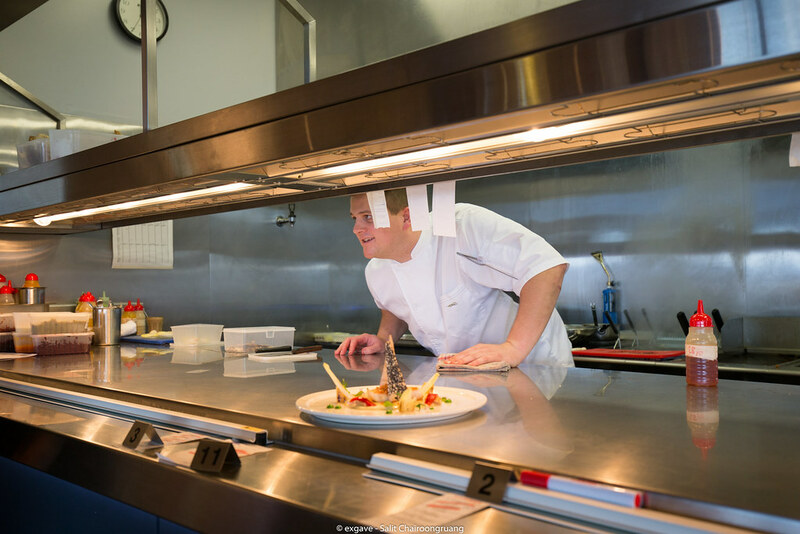 Chefs are very talented, creative and skilful. They cooked every dishes perfectly perfect. All staffs were super friendly, polite and knowledgeable. They even wrote down the dish and wine pairing for me when I asked about the course. 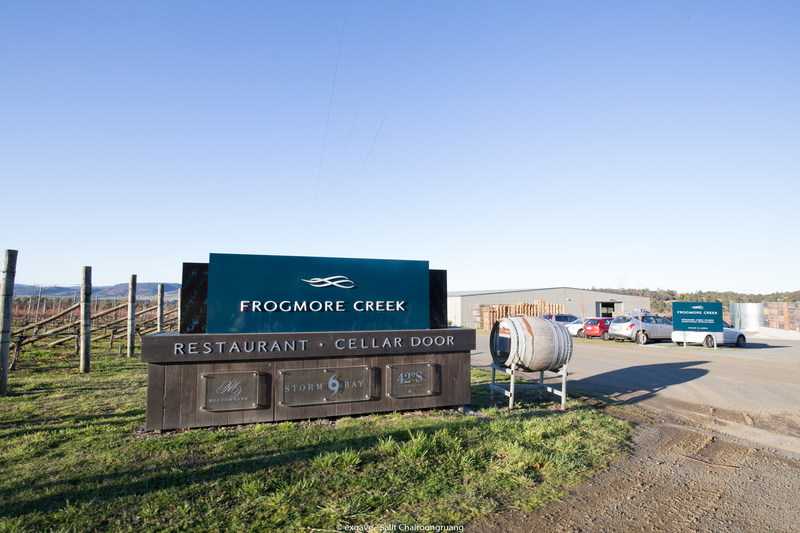 If I have a chance to revisit Hobart, I definitely give Frogmore creek another visits. 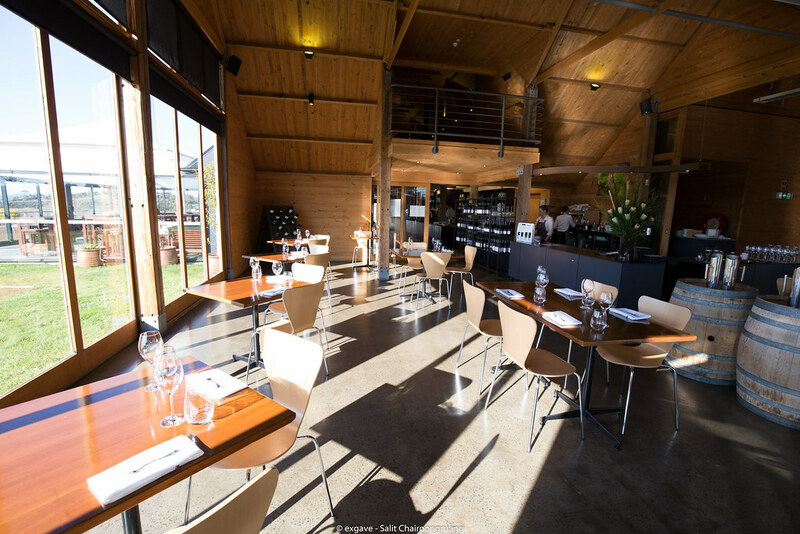 I would say Frogmore creek’s foods exceed many big name restaurants in Sydney and Melbourne already.